Are you a bride-to-be searching for the perfect place to get married? Look no further than our oceanfront Myrtle Beach resort for your beautiful beachside wedding. Carolina Dunes is the perfect venue for your intimate outdoor wedding. Being located on The Caravelle Resort sprawling property, we offer brides access to thousands of feet of outdoor space from an oceanfront lawn to a beautifully-positioned sun deck. With multiple outdoor options to choose from at The Caravelle, you can be sure you will have the perfect outdoor seaside wedding. What better place to get married than with the ocean as the backdrop for your special day? The waves provide a soothing melody as your guests gather. As you walk up to your future husband, you may catch a glimpse of dolphins breaching the horizon in the distance or pelicans dipping into the water from the sky. 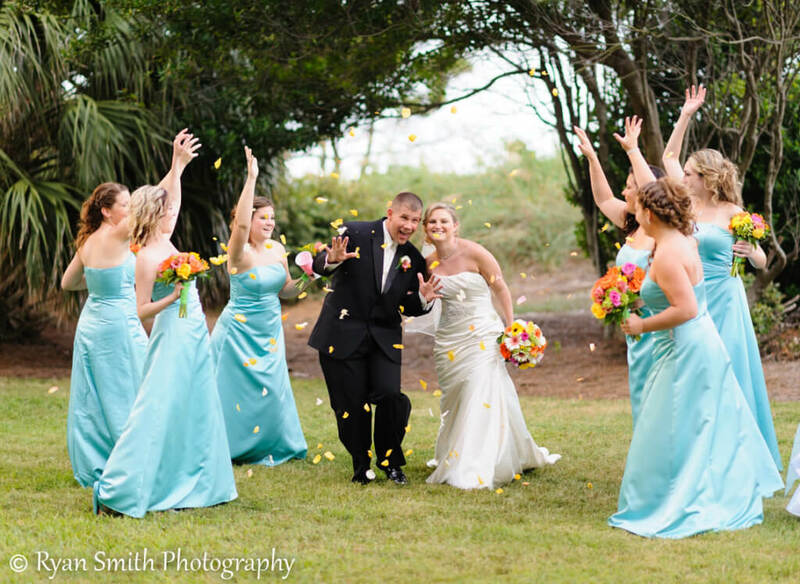 There’s nothing more beautiful than a seaside wedding at Carolina Dunes! Following your oceanfront wedding, you can host your reception at our beautiful St. John’s Inn facility located just across the street. With cathedral ceilings and banquet space for up to 250 of your wedding guests, it is the perfect venue for your reception with up to nearly 4,500 square feet of space including a pre-function area. Receptions can also spill out onto the St. John’s pool deck, making for area for your guests to gather for pre-dinner cocktails. This is just a small sampling of all of the wedding menu options we offer. Menus can also be customized and tailored to your needs. By hosting your wedding at Carolina Dunes, you can be sure that your wedding will be assisted by experience wedding and banquet staff who will help your perfect day go just as planned. You don’t have to worry about anything; all you need to do is focus on your special day. 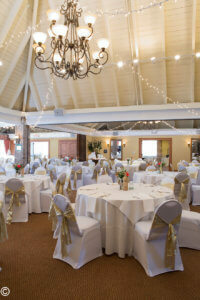 As you can see, Carolina Dunes is the perfect option for your Myrtle Beach wedding. Want to learn more? Click here to fill out our request form.